You are here: Home / Healthy Living / Are You Hooked on These Highly Addictive Foods? Researchers from the Department of Psychology at the University of Michigan and the New York Obesity Research Center at the Mount Sinai – St. Luke’s Hospital in New York observed that addictive foods share common traits with highly addictive drugs. 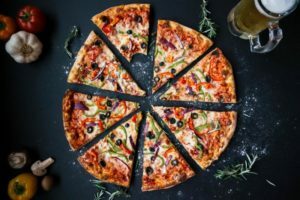 To get a better handle on what foods are most likely to get the better of people, the researchers asked about 500 people to complete a Yale Food Addiction Scale (YFAS) survey to determine which of 35 foods were most associated with problem eating behaviors. Problem behaviors included trouble cutting down on the food, or losing control over how much of the food was eaten, or feeling that you aren’t eating enough of the food. In general, the researchers found that processed foods high in fat and having a high glycemic load, were most frequently associated with addictive eating behaviors. The glycemic load measures how quickly a standard serving of a particular food will spike your blood sugar.